The Daily Lenormand Card Reading is a simple spread that takes a look at your fate for the day ahead by interpreting a single Lenormand card. You can draw a card at any given time and it will show you what to expect throughout the next or current day, depending on which you focus your mind on. This single card Lenormand reading is simple enough that anyone can use it to foretell what's to come with great ease and accuracy. It doesn't matter if you're professional or beginner, or if you're acquainted with the card meanings and interpretations - you will not experience any difficulty understanding the messages of the card. It is important to use your intuition and remember the meanings of the cards are symbolic. The value of the daily Lenormand card is directly related to how honest you are willing to be with yourself. 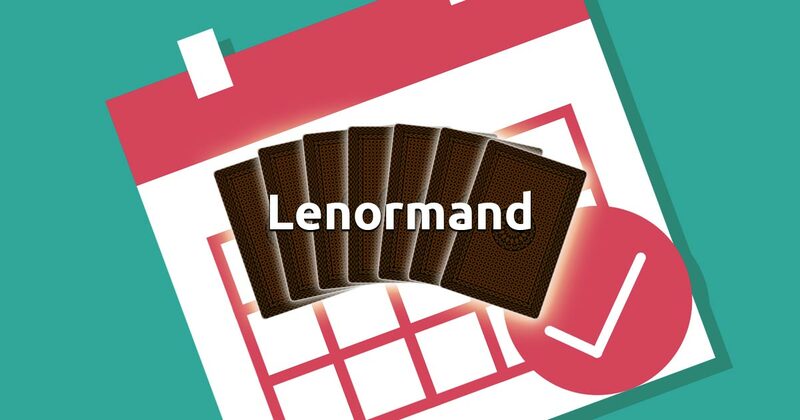 Open your mind, concentrate on the current or next day and pick a card to begin your free Lenormand reading session.